Late-model cars, trucks, crossover SUVs, and vans are more dependable than those manufactured a few years earlier, according to the J.D. Power and Associates 2013 U.S. Vehicle Dependability StudySM (VDS). The study, now in its 24th year, measures problems experienced during the previous 12 months by original owners of 3-year-old vehicles (2010 model year). According to the 2013 study, owners of 2010 model-year vehicles experience about 5% fewer problems, on average, than did owners of 3-year-old vehicles (2009 model year) who were surveyed for the 2012 VDS. This difference is particularly evident in models that were first introduced to the market for the 2010 model year, or substantially redesigned from the previous year (2009 model year). The overall dependability score for each model is derived based on the number of problems experienced per 100 vehicles (PP100) for that model, with a lower score reflecting higher quality. In the 2013 VDS, the Lexus RX has the fewest reported problems (57 PP100), on average, in the industry--the first time in the history of the Vehicle Dependability Study that a crossover or SUV has achieved this distinction. Chrysler Group's Ram brand posts the greatest year-over-year improvement--52 PP100--from 2012. For a second consecutive year, Lexus ranks highest among all nameplates in vehicle dependability. Porsche, Lincoln, Toyota, and Mercedes-Benz follow in the rankings, respectively. Lexus, Scion, and Toyota--all produced by Toyota Motor Corp.--earn a total of seven model awards for ranking highest in vehicle dependability in their respective segments. Models built by General Motors receive four model awards. Toyota and its trio of brands earns seven segment awards in the 2013 VDS for the Lexus ES 350, Lexus RX, Scion xB, Scion xD, Toyota Prius, Toyota Sienna, and Toyota RAV4. Four segment awards go to General Motors for the Buick Lucerne, Chevrolet Camaro, Chevrolet Tahoe, and GMC Sierra HD. American Honda Motor Co. receives segment awards for the Acura RDX and Honda Crosstour. Other segment award recipients include the Audi A6, Ford Ranger, Hyundai Sonata, Mazda MX-5 Miata, and Nissan Z. The dependability of 2010 models that were new to the market, or substantially redesigned from the previous year, show fewer PP100, compared with 2010 models that were unchanged from 2009 model-year vehicles (116 PP100 vs. 133 PP100, respectively). Models that were "refreshed" for 2010 (i.e., given minor changes) average 111 PP100 in the 2013 study. "There is a perception that all-new models, or models that undergo a major redesign, are more problematic than carryover models," said David Sargent, vice president of global automotive at J.D. Power and Associates. "Data from the 2013 VDS suggests that this is not the case. The rapid improvement in fundamental vehicle dependability each year is more than offsetting any initial glitches that all-new or redesigned models may have." This was the first year since the study was redesigned in 2009 in which new or redesigned models have experienced fewer problems than those that had gone unchanged from the previous year. Overall vehicle dependability in the 2013 study averages 126 PP100, compared with the 2012 average of 132 PP100--an improvement of 5%, and the lowest PP100 since the study was inaugurated in 1989. Among the 31 nameplates evaluated in 2013, 21 have improved from last year. Domestic nameplates average 133 PP100 in the 2013 study, compared with 123 PP100 for import nameplates. However, that 10-point gap in dependability has narrowed from 13 PP100 in the 2012 study. "The continuous improvement in long-term dependability means consumers should have more confidence in three-year-old vehicles, whether they are keeping their current vehicle or shopping for a used car, truck, crossover or SUV," said Sargent. "This means there are a lot of dependable off-lease vehicles in the used-vehicle market. It also means that owners who keep their vehicle beyond the manufacturer's warranty period are able to have greater peace of mind that vehicles are becoming increasingly more dependable. That said, it is virtually certain that new vehicles being sold today will be even more reliable in three years." Not unexpectedly, the study also finds that the fewer problems owners experience with their vehicle, the greater their loyalty to the brand. Combining previous-year VDS results with actual vehicle trade-in data from the J.D. Power and Associates Power Information Network(R) (PIN), J.D. Power finds that 54% of owners who do not experience any problems with their vehicle stay with the same nameplate when they purchase their next new vehicle. Brand loyalty slips to 41% when owners experience three or more problems with their vehicle. Owners of premium-brand models are slightly more loyal to their nameplate than are owners of non-premium models. "It's one thing to ask consumers if they intend to buy another vehicle from the same brand, but it is much more impactful to know what happens when they actually buy their next vehicle," said Sargent. "By combining our consumer research with trade-in data, we see a clear correlation between dependability and loyalty." The perception that all-new or redesigned models can't be as dependable as those that have been on the market for a year or more is not accurate. Just because a model is new to the market or has been recently redesigned doesn't necessarily mean it won't be as reliable. In fact, dependability of all-new and redesigned models is at a record high, according to 2013 VDS data. Dependability of 3-year-old models is at an all-time high. If you can't afford a new vehicle, or simply don't want one, you should feel confident when buying a certified pre-owned (CPO) vehicle. 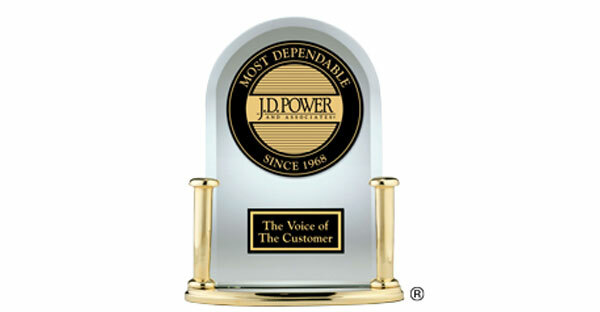 Whether buying a CPO vehicle or not, be sure to check quality, appeal and dependability ratings of models you are considering on jdpower.com. Improvements in vehicle dependability have been made by both domestic and import brands, and the gap between the two is narrowing. Perceptions of dependability should not be based solely on vehicle origin--consumers should research a variety of sources in order to make a decision consistent with the current reality of the market. The 2013 Vehicle Dependability Study is based on responses from more than 37,000 original owners of 2010 model-year vehicles after 3 years of ownership. The study was fielded between October and December 2012.